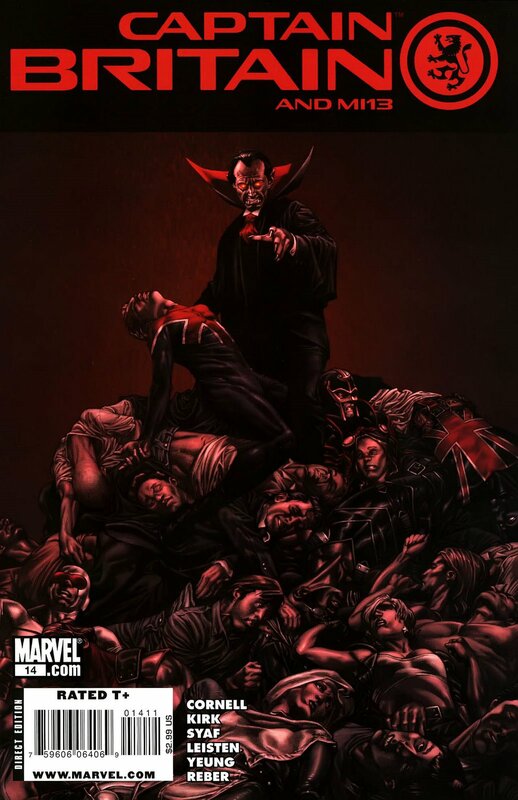 Vampire State, the current arc, is stupendously gripping, and this installment really shifts up a gear as Dracula and his legions embark upon their invasion of Britain, which is cut off ‘magically’ from the rest of the world. 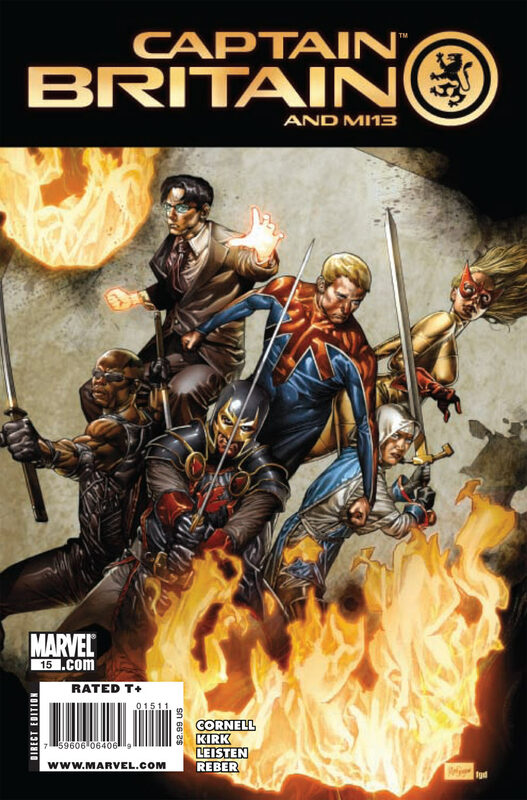 With Norman Osborn, Britains last hope of outside intervention, offering nothing, and the ‘real’ Avengers desperate to help but unable, it is down to Captain Britain, Pete Wisdom, Blade, Black Knight and Faiza Hussain to try and stem the awesome tide of the undead. The pace does not let up, the plot switching effortlessly from frantic diplomatic efforts to the battlefield. By the end of the issue there looks to have been some dramatic developments – the death of at least one character, Britain in the grip of a terror unimaginable – and how this mid-issue of the arc effects the rest of the story is unclear. What is very clear is that Paul Cornell has fashioned a brillaintly simple but effective high concept (vampires led by dracula invade the UK) and with some imagination and foresight has managed to craft one of the titles of the year. It takes some second or even third string characters and makes them vital and heroic. Compulsive reading. This is going to be one hell of a trade paperback. Its one hell of a comic, right in the midst of its strongest arc yet. Oh, and the final panel is a classic – pure cinematic vision. Captain Britain & MI13 is one of the great Marvel successes of the last year (critically if not commercially, as there have been rumours (unfounded) about its cancellation). 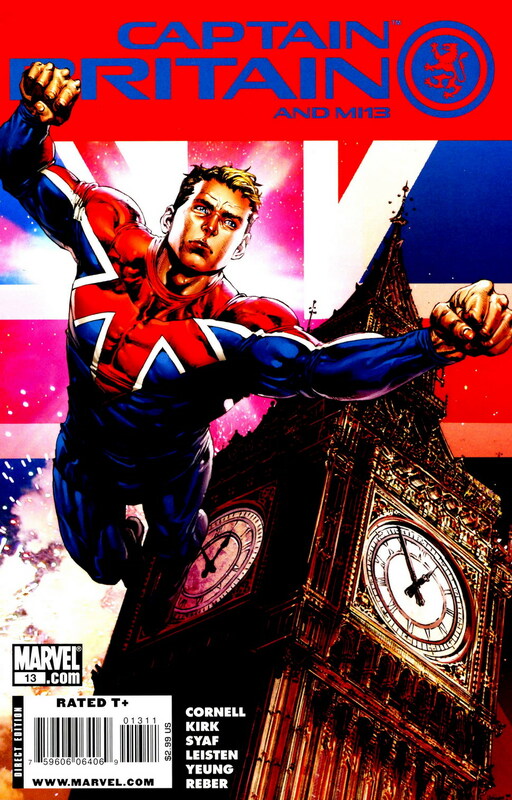 It has transcended its ‘Secret Invasion’ roots and flourished into an exciting title, retaining a uniquely British flavour while firmly existing in the Marvel Universe. In this issue, the story arc ‘Vampire State’ really picks up some speed. Lady Jacqueline (aka Spitfire) has fallen victim to Dracula’s powers, thanks to the help of her son, Crichton, and now finds herself an unwilling denizen of his Castle on the Moon. In response to her disappearance, Blade, who is really shining in this arc, is doing his damn best to get her back. Pete Wisdom has a great line about Civil Servants and the accepted ‘job for life’ mentality that goes with it, but Brian Braddock is largely absent. It is testament to Paul Cornell’s writing that the cast of characters is so strong that he doesn’t really need to around. Meanwhile Faiza Hussain wields Excalibur with intent amongst the Vampire legions. Great stuff. I also have to mention the villain of the piece. 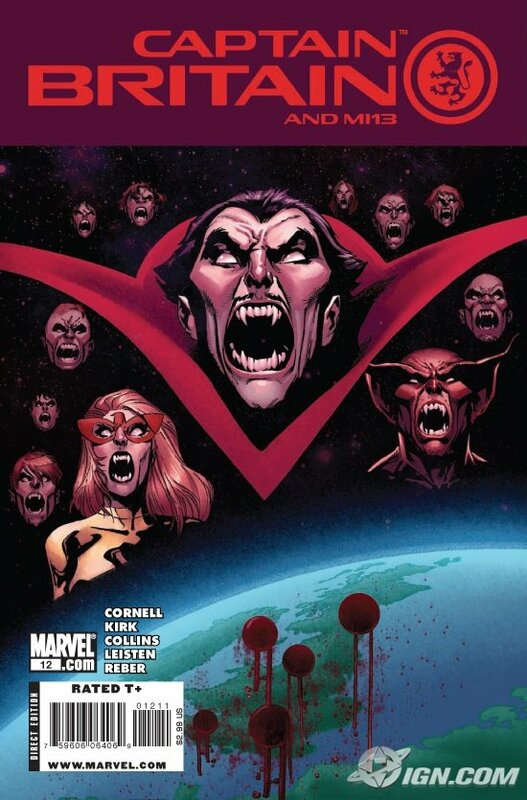 It can be a mistake to try and portray a classic, iconic figure in a modern day comic book, but Dracula is superbly portrayed by Cornell – a cross between an old English aristocrat and a General with some antiquated views on race and his vision of Britain, he is a superb Villain, a worthy adversary, eclipsing Dr Dooms appearance earlier on in the arc. So, what do we get out of Captain Britain and MI13 #12? A fantastic cover (it reminds me of the video to ‘Bohemian Rhapsody’). Some truly brilliant writing (a Vampiric Aristocrat who is a dyed-in-the-wool racist. Some heart rending scenes that show the agony and despair of human cattle being (literally) hung out to dry. We get the majesty and epic scope of the appearance of the Vampires Vessel that is intended to subdue Britain. These are some of the highlights, and on top of that a brilliant cliffhanger. This book is as good as it gets this week (and it is a very good week so far).